* No Tie (NT) Laces that makes the shoe easy to slip on and off. * A second standard shoe lace option. * Anti-bacterial memory foam inner sole. 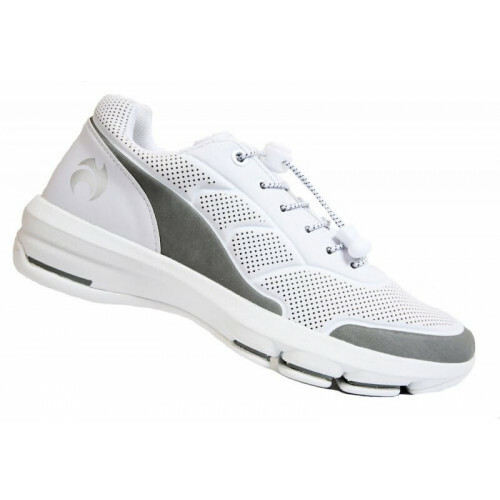 * Impact X technology inner foot-bed for maimum comfort. * Lighweight, flexible and slip resistant sole. Colour: White with Grey features. Sizes: 5 to 8 (full sizes only).